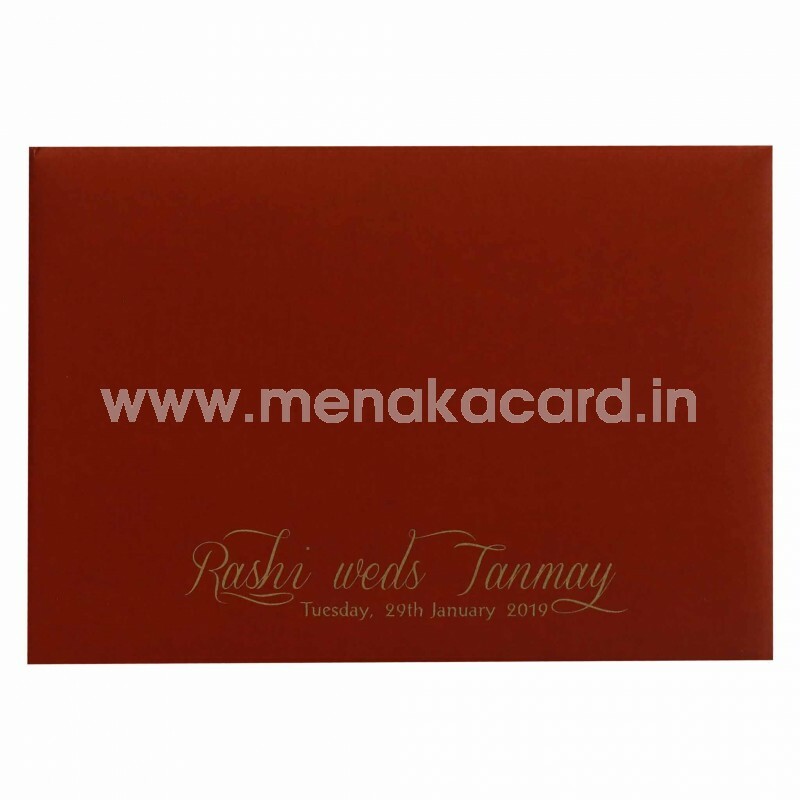 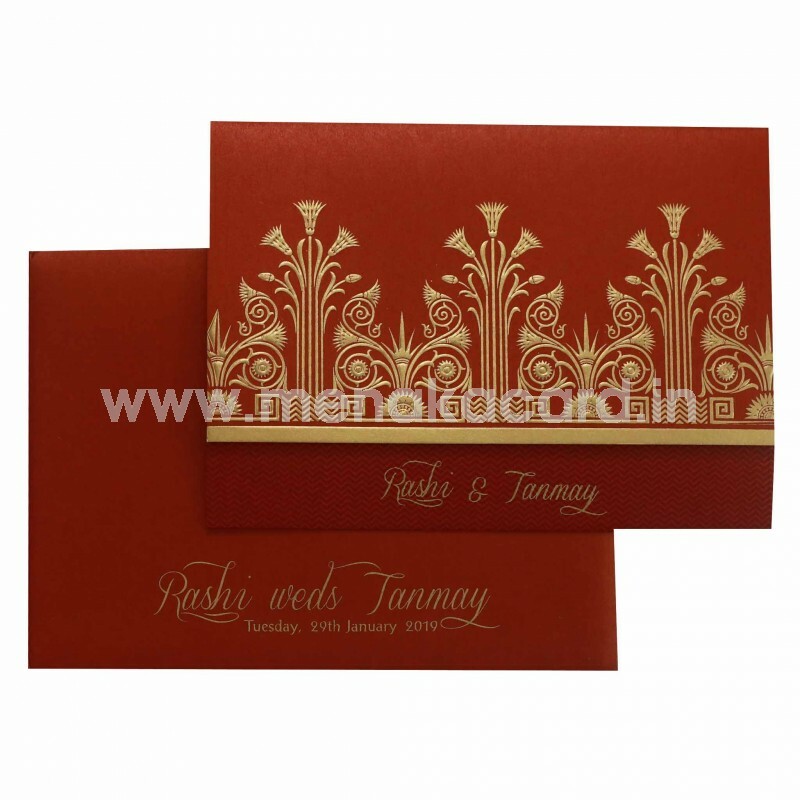 This gorgeous maroon laptop folding card is made from a rich maroon shimmer board whose actual card contains a beautiful ornamental floral geometric art deco-esque zari motif embossed into the card with rich gold ink. 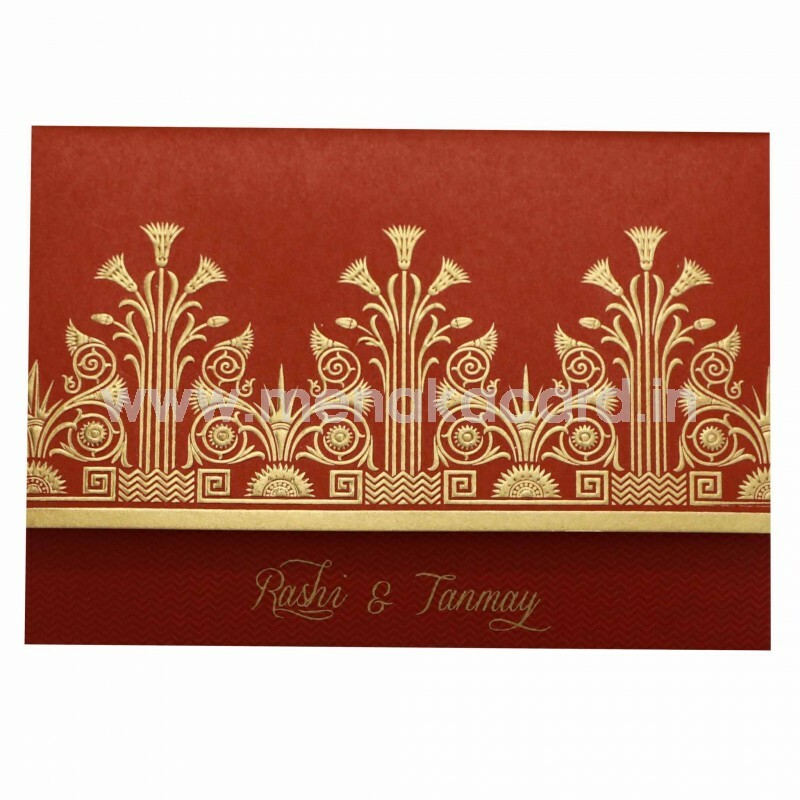 The cardholder flap has a chevron lancer print in deep maroon and contains two inserts from the same shimmer board material printed with contrasting gold ink. 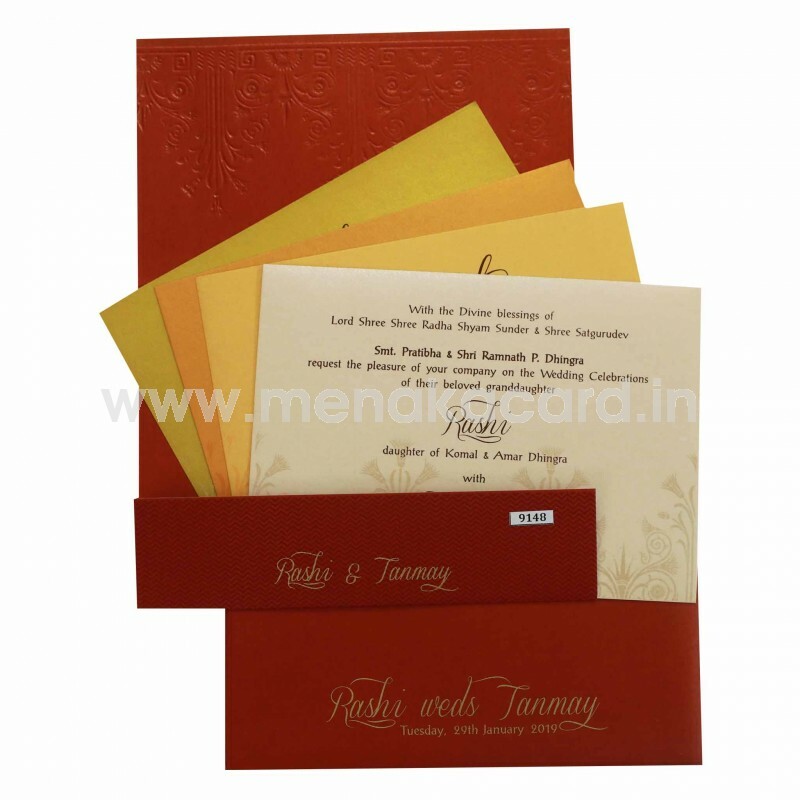 The envelope is a simple cover content printed in rich gold ink. This can be used for Hindu, Christian and Muslim weddings as well as Grahapravesham, Upanayanam, Engagements etc.